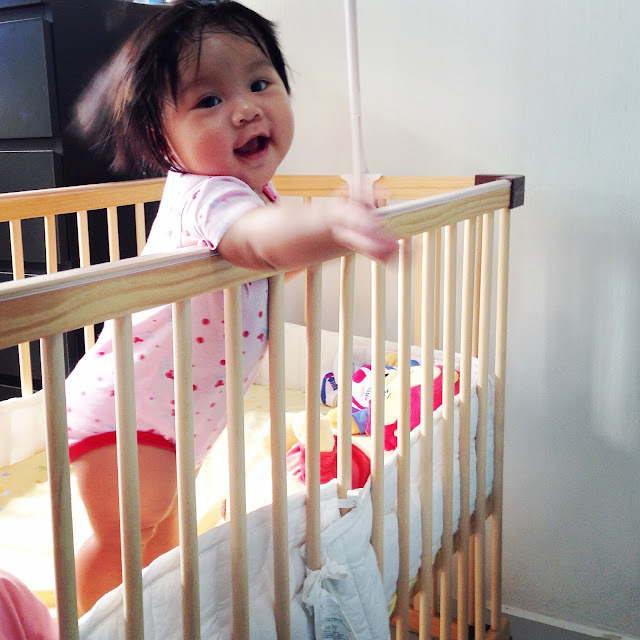 Baby stood up with support in her cot from sitting position (I left her seated in the cot). Maybe she gotten her strength and inspiration from yesterday's playdate. Haha playdates are good..